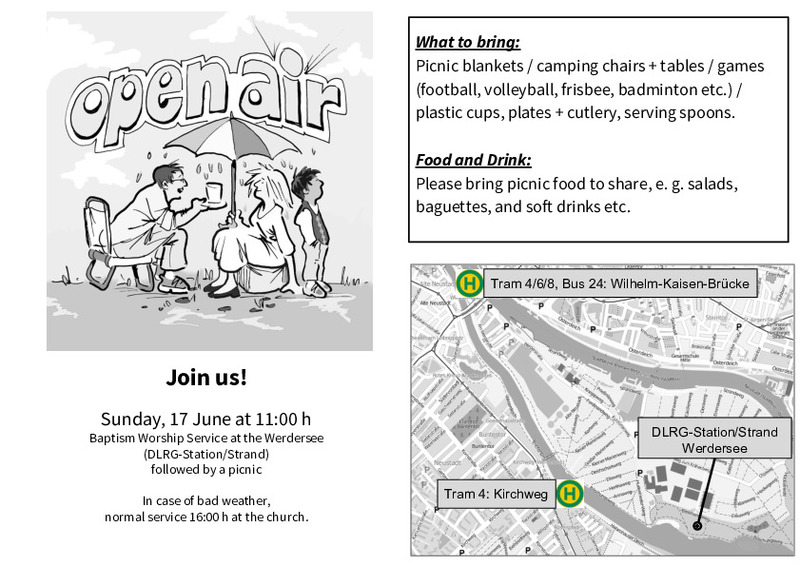 Join us for the open air service at the Werdersee. 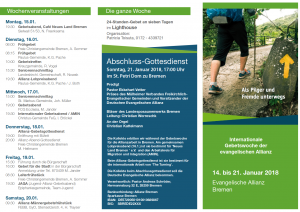 If you consider IBC Bremen to be your spiritual home – for however long the Lord allows you to be in Bremen… 6 months, 2 years, 20 years… we invite you to consider becoming a member here. To find out more, please come to our next “New Members & Baptism Class” starting on Tuesday 21 November at 19:30. Are you considering Christ’s command to be baptised? Are you still unsure and have questions about baptism? Then please join our “New Members and Baptism Class” which we’re sure will be of value to you on your spiritual journey. The next class starts on Tuesday 21 November at 19:30.